John Wall, Don Browning, and William J. Doherty, and Stephen Post, eds. The purpose of this book is to investigate how the professions should approach marriage in today’s world of high divorce, cohabitation, and nonmarital births. Specifically, the book is a response to and analysis of recent social scientific evidence that marriage is on the whole good for the partners involved, their children, and society. Introduction, John Wall, Ph.D., and Don Browning, Ph.D.
1. The Health Benefits of Marriage, Linda Waite, Ph.D.
2. The Personal and Social Costs of Divorce, David Popenoe Ph.D., and Barbara Dafoe Whitehead Ph.D.
3. The Goods and Goals of Marriage: The Health Paradigm in Historical Perspective, John Witte L.D. 4. Is the Genie out of the Bottle? A Lawyer’s View, Muller Davis L.D. 5. 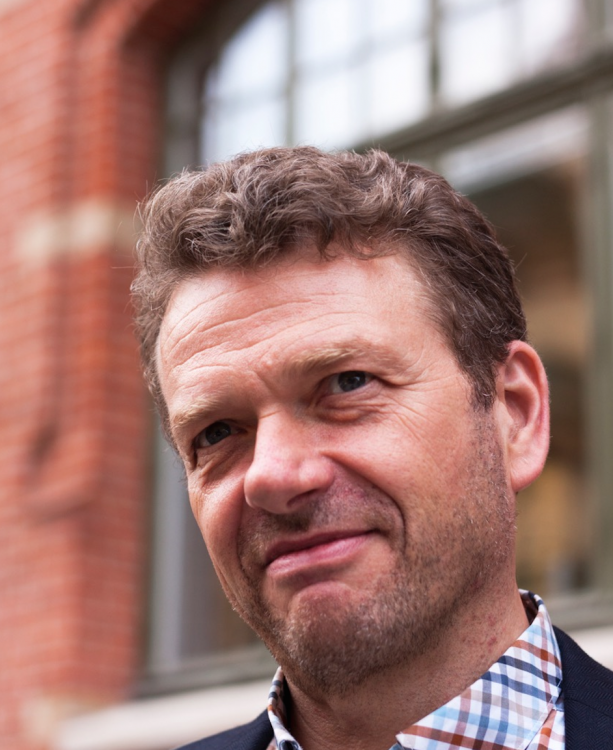 Health, Marriage, and the Ethics of Medicine, Stephen Post Ph.D.
6. Marriage in Medical Practice: A Doctor’s View, Edmund Pellegrino M.D. 7. Whose Marriage? Whose Health? A Christian Feminist Ethical Response, Christine Firer Hinze, Ph.D., and Mary Stewart Van Leeuwen, Ph.D.
8. 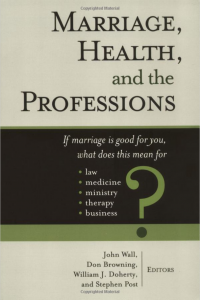 Health, Marriage, and the Practice of Ministry, Richard Hunt, Ph.D.
9. Health, Christian Marriage Traditions, and the Ethics of Marital Therapy, John Wall, Ph.D., Bonnie Miller-McLemore, Ph.D.
11. Familial, Social, and Professional Integrity in Relationship to Business, Max L. Stackhouse, Ph.D.
12. Reconstructing Home: Business Responsibility for the Family, Shirley J. Roels, Ph.D.
13. Do Religion and Spirituality Contribute to Marital and Individual Health? David Larson, M.D., M.S.P.H., and James P. Swyers, M.A. 14. Marriage, Family, and Health in Selected World Religions, Paul Numrich, Ph.D. Page last updated at 9:14 pm August 24, 2016 . This page was printed from johnwall.camden.rutgers.edu/books/marriage-health-and-the-professions/ on Sunday, April 21, 2019.